The year 2016 is near about to end. Some of us dreamed to achieve too many things in 2016 , but we are not able fullfill all our dreams in a single year. So do not loose your hope, Welcome the new year 2017 with a bang. 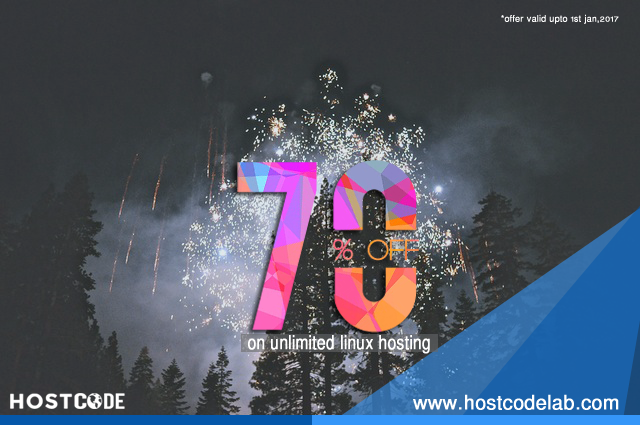 Celebrate the new year with Hostcode Lab. 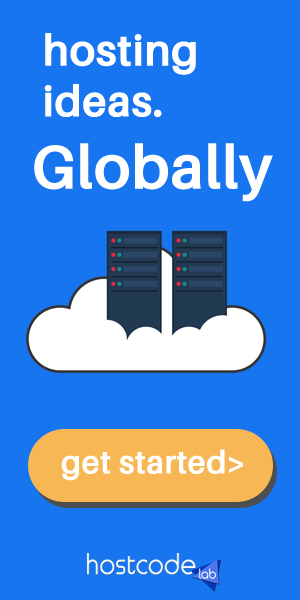 Get 70ON17, Flat 70% Discount in Unlimited Shared Hosting plan. Start your own site ,own blog. Go live with us. Hostcode Lab , keep your website with 99.9% guranteed uptime. We keep your site safe with regular malware and security checking, by our beloved network engineers. We value your time, so our all plans get instantly activated by our system. 6.Hurray! your Discount code is applied. 1. It is valid upto 1st jan,2017. 2. Applied for new signup only. 4.Spam-fraud- domain will be removed Instantly, so beware of this.Order with the genuine domain you buyed. 5. Stock is limited,so Hurry Up!